The time has come once again, to show off my fabulous Starbox for this month. If you have taken my repeated advice and subscribed, then you already know the fabulousness that is Starbox first hand. If not, then I need to find a way to reach through the computer and beat it into you. You are seriously missing out if you do not subscribe. Starbox is the absolute best monthly beauty box on the market, especially for the incredible price. Almost ever other box sends on samples(and deluxe samples) or at least only mixes full sized products along with samples. Starbox on the other hand, sends only full size items, at least 3 every month for the amazing price of only $15 a month, plus under $3 shipping. For less than $18 a month, you are getting products worth upwards of $40(minimum - the Christmas box features a $99 eye palette). 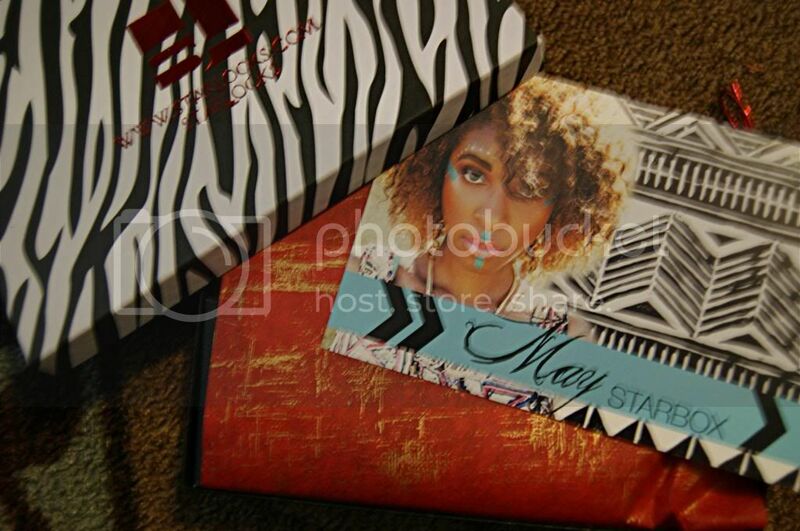 May's Starbox is valued at $55. And in my humble opinion, these products are so fantastic(all Starlooks products) that the price is significantly less than what they could reasonably go for. Check out May's box and see what I mean. This compact has 4 great shades. Perfect for mixing. I used the light one(top left) for highlighting under my eyes, and I used the darker brown(top right) for my brows, but I am sure I will find use for each shade. 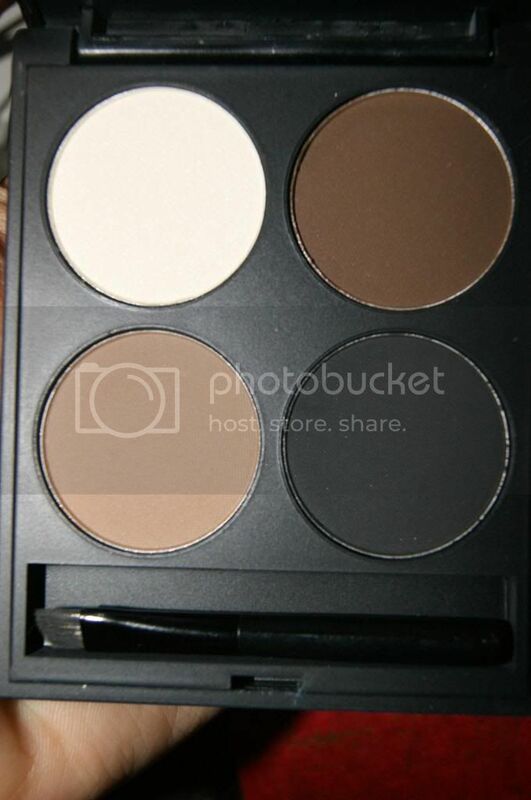 The light brown(bottom left) looks good for covering my lid(under shadow). The brush is great. 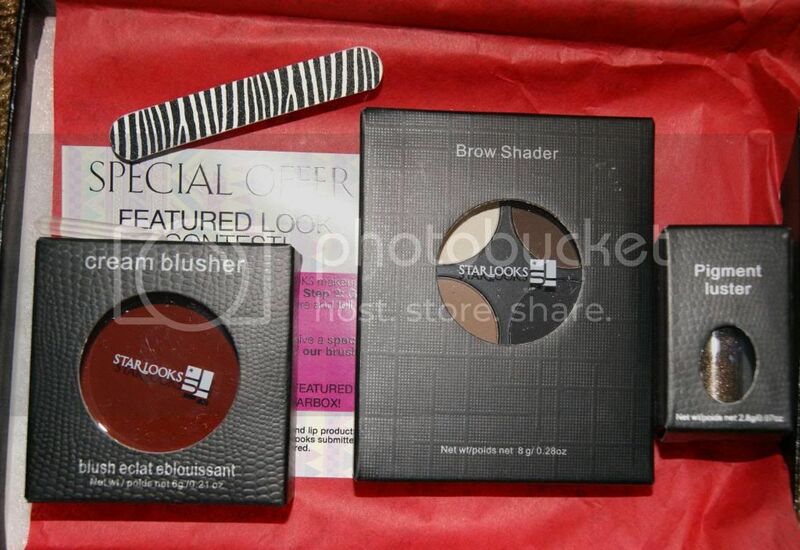 The brow powders are very easy to use. They do not cake at all. They are not too dry or too moist. The collect on the brush nicely and apply smoothly, evenly and look natural when doing so. The blend so well and they stay all day. You;ll forget you are even wearing it. It is just your natural browns, enhanced. They do not look fake or overdone whatsoever, just adds a little perfection to the definition of your brows. I never usually use brow products since they do always look weird on me, but this is perfect. This color look very dark at first glance, and it can be if applied heavily. Of course you don't want to look like you painted your blush on weather it be cream or powder, you need to do it with a light touch and the right blending. When done that way, it just gives you a beautiful flush of deep color. It is perfect for giving a more sunkissed look to cheeks instead of all those pinks and peaches. I will admit I was totally intimidated by this, but I love it. It is so much better than I thought it would be, and I actually love the deeper color for my cheeks so much more than what I usually use. The formula of course is flawless, perfect consistency. It applies and blends easily. It melts into skin and gives your actual cheeks color rather than have color sit on top of them. 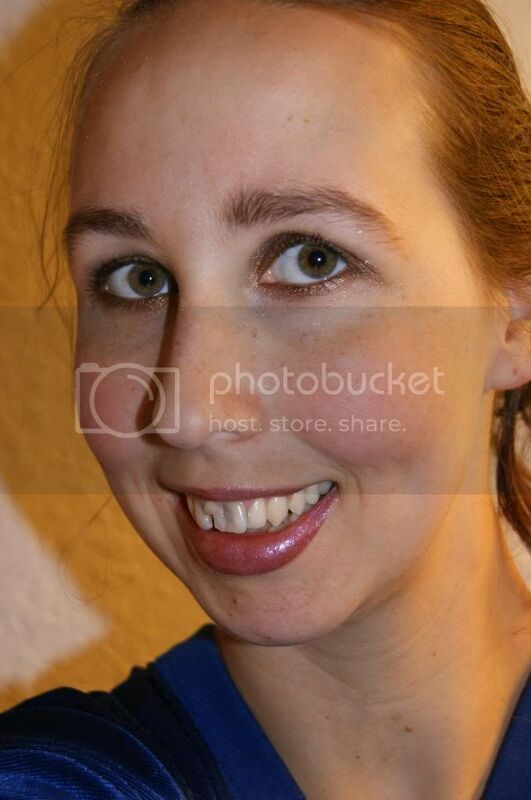 It does not even look like makeup. It feels like wearing nothing and even lightly moisturizes your shin giving it a healthy, dewy glow. Amazing. I am so in love with this color. This is right in my wheelhouse. I would have picked this shade for myself without hesitation. 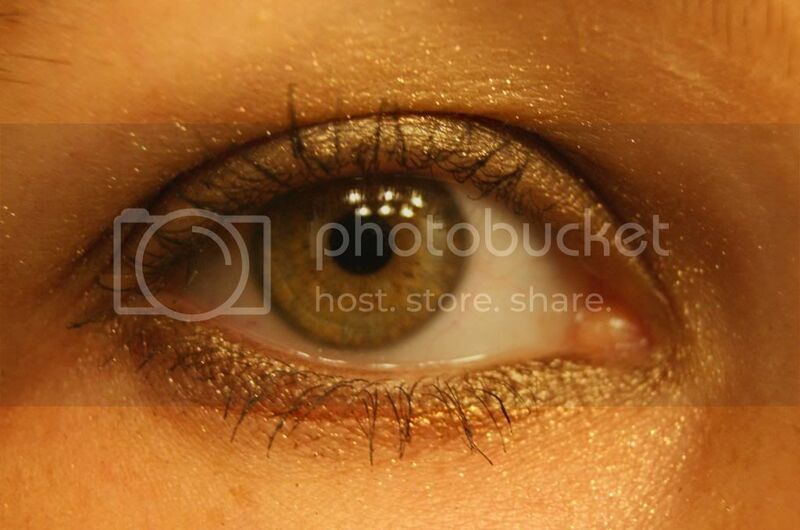 I love the shimmery brown tones. So illustrious. 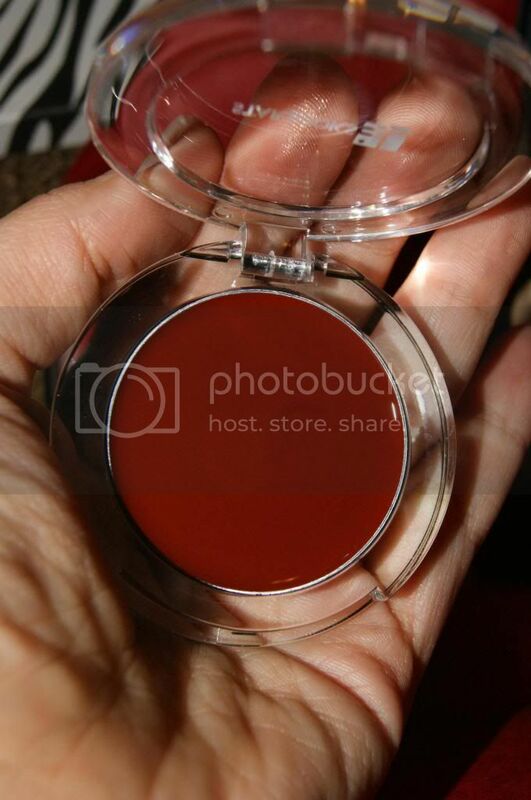 The Pigment Luster is the highest quality, pure pigments. I have one already(in a different shade) and it is gorgeous. This glides on so smoothly and evenly. You can apply it lightly for a semi transparent look, or build it up for a dark, bold, show stopping eye. I usually tend to go for the middle ground, an opaque that is slightly bold, but still perfect for an everyday look. I used it as a shadow and brought it down under the eye in place of liner as well. I think it looks amazing. All I added was a touch of mascara, and I adore how it looks. The color lasts all day and never strays. It will not cake, smear or fade. Flawless all day long. 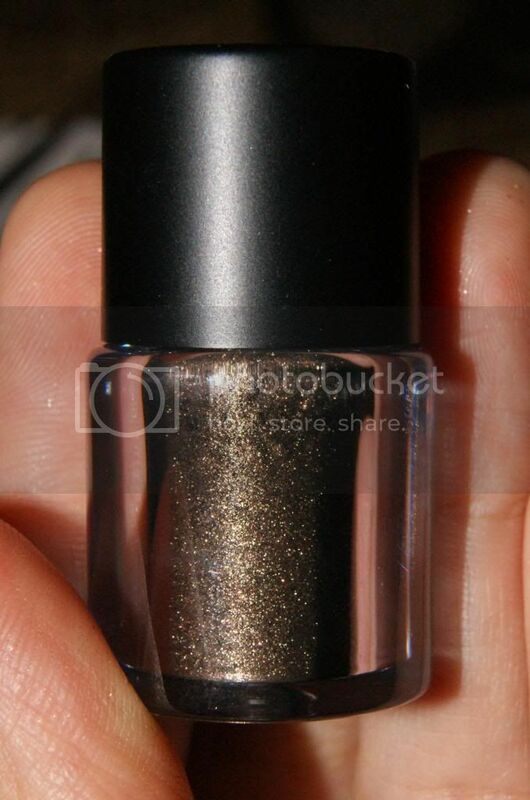 I can't get enough of this pigment and all of the fabulous Pigment Lusters. What I really love is how well these products compliment each other and what a great look they create when used together. Along with the mascara, the only other thing I added was lip color. This is actually one of my favorite looks to date, and I will be using it a lot this summer. 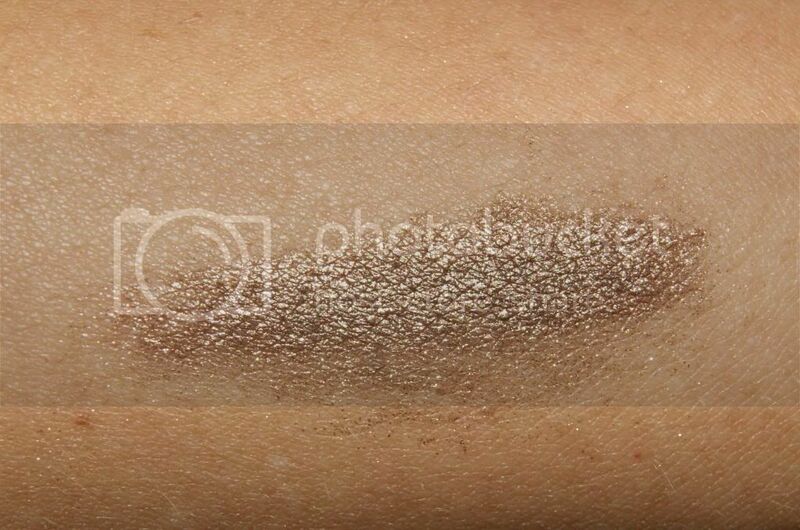 I just think it looks like a polished, lightly bronzy look. I love it. What do you think? 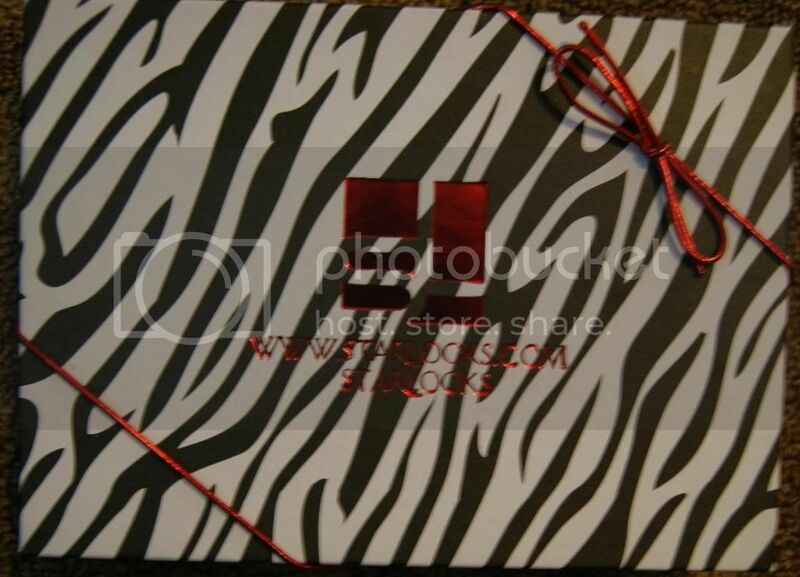 As if the fabulous look provided by this box was not enough, I also got a super cute, zebra print, mini mail file. 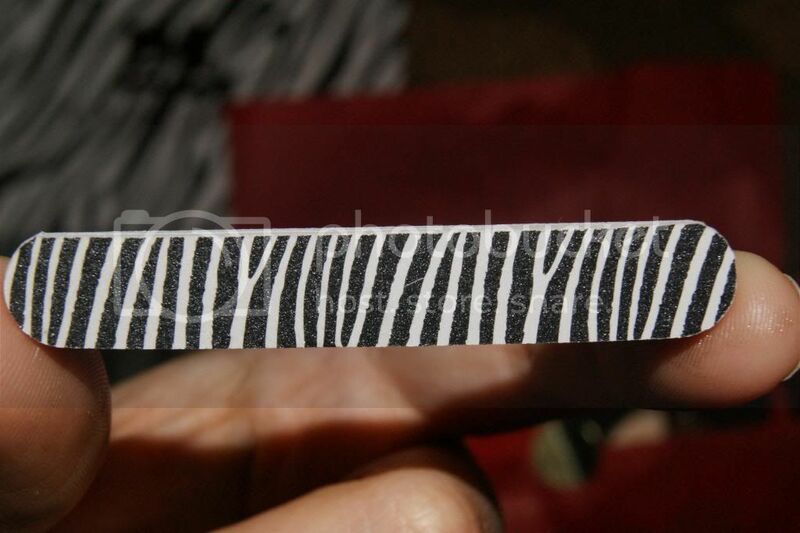 It fits perfectly in my purse or even pocket so I can file down any sharp edges or breaks no matter where I am. Vital when you have kiddos whom you do not want to rip open with a jagged nail. Once again, Starbox has wowed me. I could not be any happier with this months box, and cannot imagine how next months will compete, but they always do and then some. If you still have not subscribed, then you must not like cosmetics or good deals. Please don't continue to miss out. Order before June first to make sure you get the amazing box that is sure to be sent in June. You are not going to want to miss out. I agree a lot with the brown shimmery tones you have up there! Not so keen on the really deep dark stuff, but def love that golden brown!!!! I love that look on you! 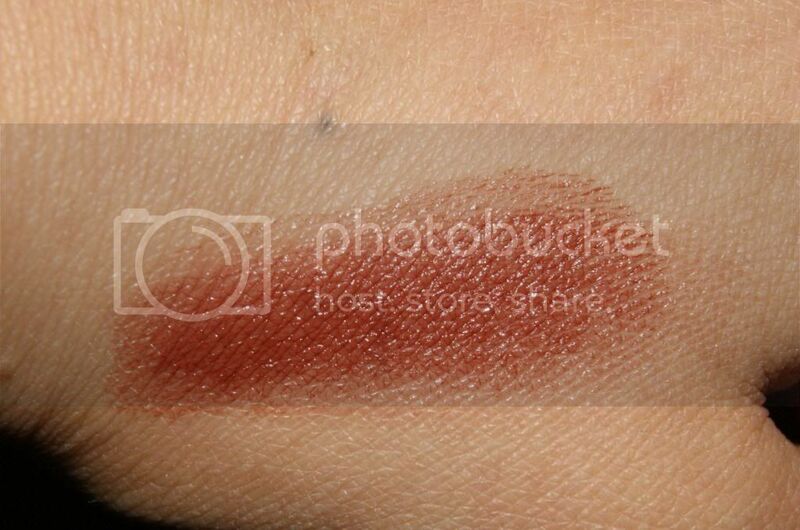 You can't even tell what a dark shade the cream blush really is. That looks great on you! I love Starlooks, just wish we could fit it into our budget right now.